In all clubs, there are members who selflessly give to others of their time and energy without any expectation of reward. These members are the quiet achievers who stay out of the limelight but are always the first to volunteer for any project, event or simply add to the Club by being a member. Honorary Life membership is a rare honor and as you will see from the list below only 55 Honorary Life Memberships have been awarded since the inception of the Club. To receive Honorary Life Membership, a member must be nominated by the majority of the General Committee for outstanding services rendered to the Club. The process doesn’t end here. The nomination for Honorary Life Membership is then put to the current Honorary Life and Senior members of the Club at a General Meeting. A secret ballot is undertaken and the nomination must be endorsed by at least a two thirds majority for the honor to be bestowed. 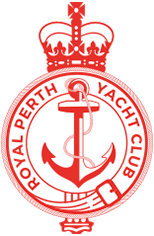 Please find below a list of outstanding Royal Perth Yacht Club Honorary Life Members.